Stunning remodeled Hamptons inspired four bedroom five bath one level family home with pool and ocean views. Step into this beautifully remodeled home and prepare to be impressed. Designer touches about. Calcutta marble and hardwood floors, high ceilings, LED lighting, a gourmet chefs inspired kitchen featuring Sub Zero, Wolf and Bosch appliances, Calacatta Rocky Quartz counters, herringbone Carrera marble backsplash and Zen Fields lighting. The Master Suite features a fireplace, sitting area, direct pool access and ocean view. The master bath adds a soaking tub, Italian carrera marble, Kovacs lighting and a separate huge walk in closet with chandelier lighting. All of the bedrooms include their own baths and two with ocean view. There's also a separate utility room and direct access to an oversize two car garage. Outside there's a large back yard and side yards, lanai, pool and spa, patio and a view of the Pacific Ocean. Don't miss out on this fabulous rare opportunity. © 2019. The multiple listing data appearing on this website, or contained in reports produced therefrom, is owned and copyrighted by Multi-Regional Multiple Listing Service, Inc. ("MRMLS") and is protected by all applicable copyright laws. Information provided is for viewer's personal, non-commercial use and may not be used for any purpose other than to identify prospective properties the viewer may be interested in purchasing. All listing data, including but not limited to square footage and lot size is believed to be accurate, but the listing Agent, listing Broker and MRMLS and its affiliates do not warrant or guarantee such accuracy. The viewer should independently verify the listed data prior to making any decisions based on such information by personal inspection and/or contacting a real estate professional. 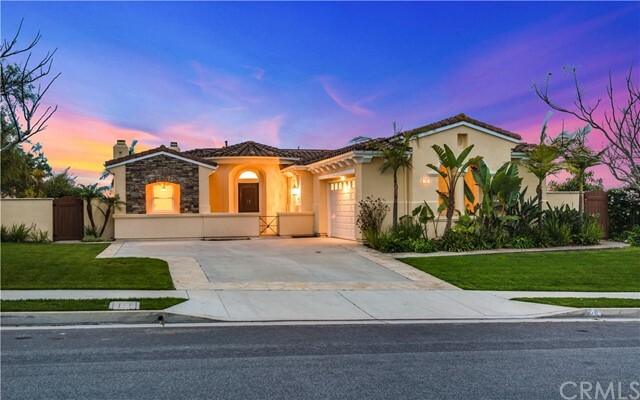 Listing courtesy of Mark Stoll from Vista Sotheby's Int'l Realty . Last updated Thursday, April 18th, 2019.